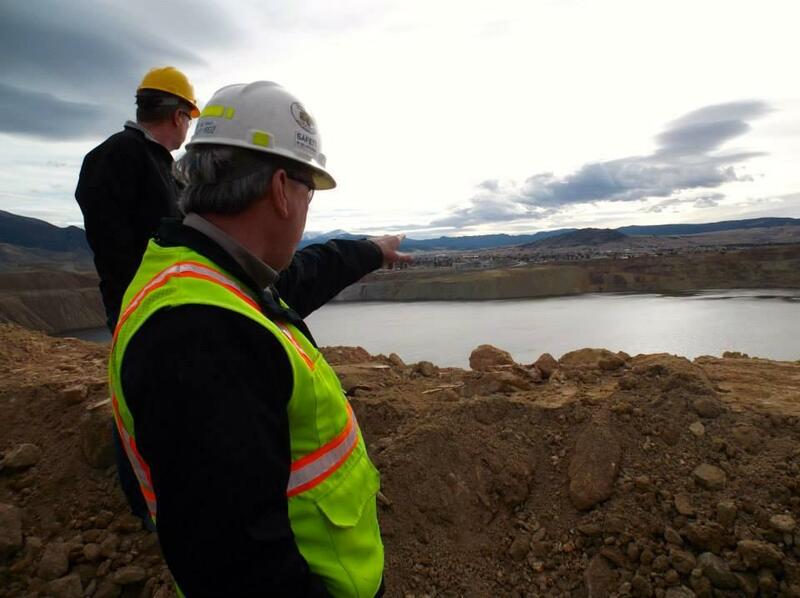 Montana Resources' Steve Walsh points out a feature of the Berkeley Pit to Butte Silver Bow County Commissioner Dan Foley last Thursday. A new study on the probability of more landslides at the Berkeley Pit Superfund site in Butte will be made public soon. Last week Silver Bow County commissioners got a tour of the Butte Superfund site, led by Steve Walsh, an executive with Montana Resources. That company is actively mining for copper and molybdenum at the Continental Pit in Butte, but has operations at Berkeley Pit as well. From a point high on the Berkeley Pit’s rim, Walsh pointed out where the company used to be more active there until last year. "If you look down from the west, the building down there is a pump station, and that little barge that's floating in the water has two vertical pumps on it." Those pumps used to pull water out of the pit, which Montana Resources processed, recovering copper that’s dissolved in the pit’s highly acidic water. And then, one day there was a landslide on one of the walls of the pit, dumping an estimated 820,000 tons of rock into the water. "When the slump happened on February 8th, 2013 it caused some damage on the pumps and the pipes," said Walsh. "You can see that pipe separated on the ramp coming up, that's one of the things that occurred, and at the point we stopped all personnel from going in to the pit. So we haven’t run the pump nor wanted to repair that since February 8th, 2013." The Horseshoe Bend water treatment plant above the Berkeley Pit currently processes water for Montana Resources mining operations. It will be used to clean water from the pit for discharge into Silver Bow Creek in the future. Walsh says Montana Resources has recovered all the copper from the water in the Berkeley Pit that it’s economically feasible to get at this point. But the Environmental Protection Agency asked the company to study the stability of the pit’s walls. "When we did that, one of the features of the Berkeley Pit is that about three quarters of it is in bedrock, and is very stable," Walsh said. "So the likelihood of a failure there or slump or a slope stability problem is almost nil. The problems that we did have and do continue to monitor are over in the south and the southwest side of the pit. That was [where] the slump ... happened on February 8th, 2013. So we’re currently evaluating the slope stability study with the agencies, we haven’t fully understood or gotten comments back from the agencies." The EPA says it should wrap up its comments, and get those from Montana’s Department of Environmental Quality, this week, and then make the study public late next week. 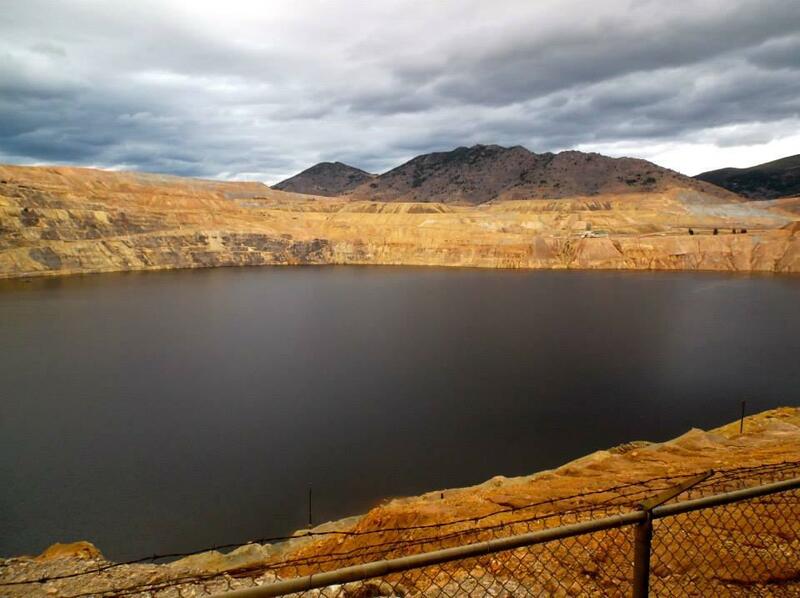 The Berkeley pit is more than four miles in circumference, has a depth of 1,780 feet and contains more than 43 billion gallons of highly acidic water. 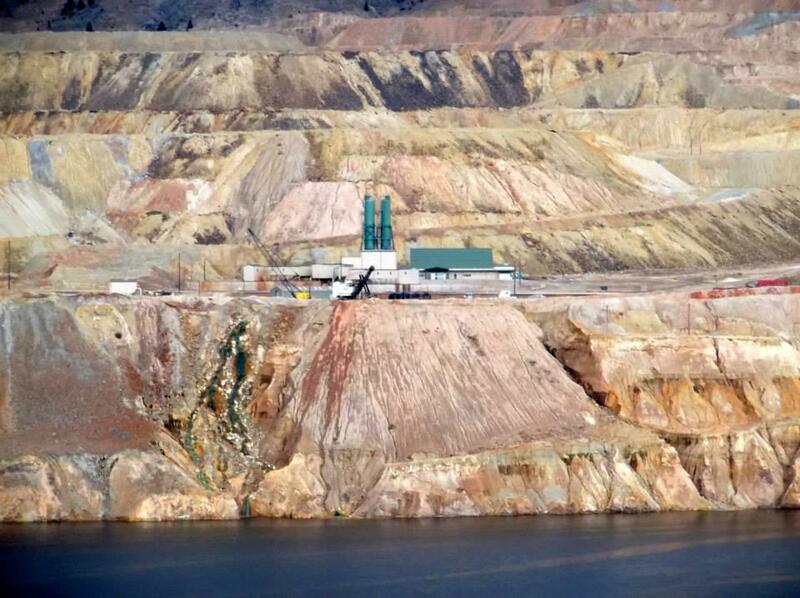 One of the reasons landslides into the Berkeley pit are an important issue, is because they can cause the water level in the pit to rise substantially. Once the water reaches a certain level, about 90 feet above where it is now, Montana Resources will have to start pumping it to its treatment plant on site, and clean it to the point that it can be safely discharged into Silver Bow Creek, which enters the Clark Fork River. According to Walsh, the forthcoming study forecasts the likelihood of future landslides into the pit. "As the water level rises, its going to cause some instability and at one point, once it reaches a certain level, it begins buttressing the slope and is actually helpful to hold the slope back." Details on the study’s estimate of when the water in the pit will stop de-stabilizing the pit’s walls and start making them stronger won’t be public until next week at the earliest. The Montana Bureau of Mines and Geology estimates that the last landslide into the pit in 2013 caused the water level to rise a little over six inches. For perspective, that’s about as much as it rises in a typical month on its own, as underground and surface water sources continue to feed into it. Current estimates are that the water in the pit will rise to the level where pumping to the treatment plan has to begin in 2023 and that’s if there are no more landslides. 07/30/2014 - A record 175,000 people from all over the world traveled to Butte for the Montana Folk Festival in 2014. In it's fourth year, the 'Richest Hill on Earth' not only hosted a slew of internationally renowned musicians and visual artists, but unfurled its "Culture of the Car" celebration, demonstrating that folk art thrives everywhere. On the stage, the canvas, even the hood of a station wagon.